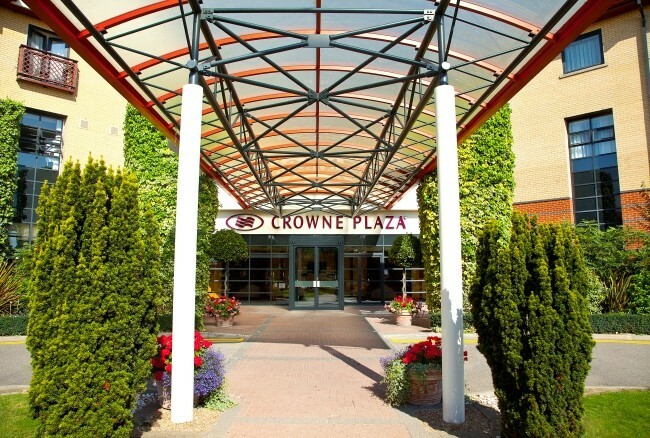 Crowne Plaza Colchester - Five Lakes, near the coastal town of Maldon, Essex is the 1st Crowne Plaza Resort in the UK. 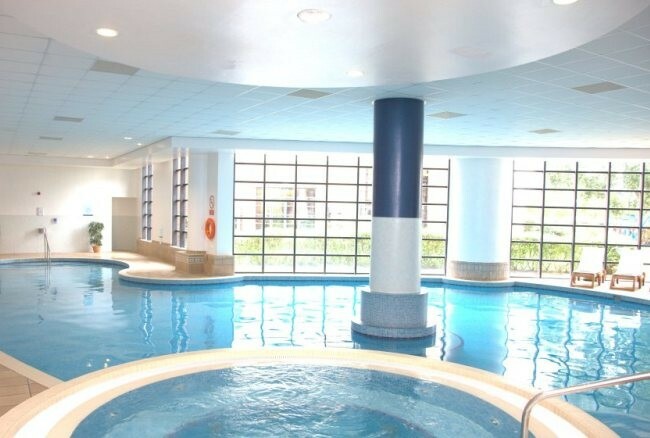 Set in 320 acres of unspoiled Essex countryside the newly refurbished resort offers some of the finest sports and leisure facilities in the south east of England, making it perfect for a leisure breaks. 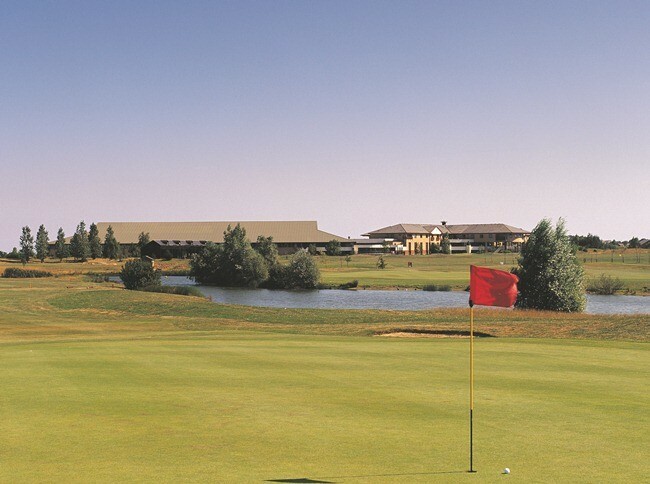 Guests looking for weekend golf breaks will enjoy the two magnificent 18-hole golf courses. 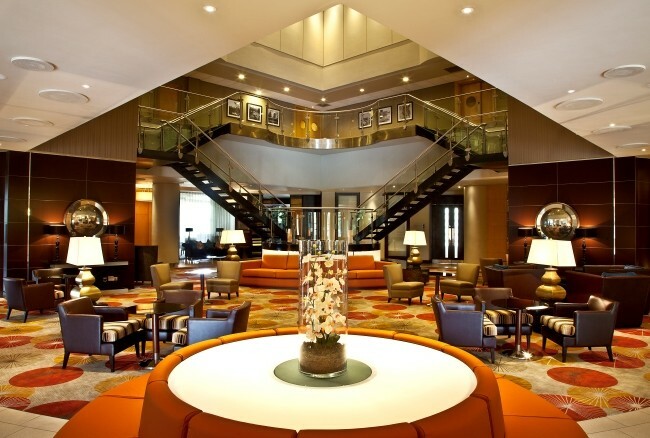 Guests can also relax in the Spa and enjoy superb food at either of their 2 new restaurants. 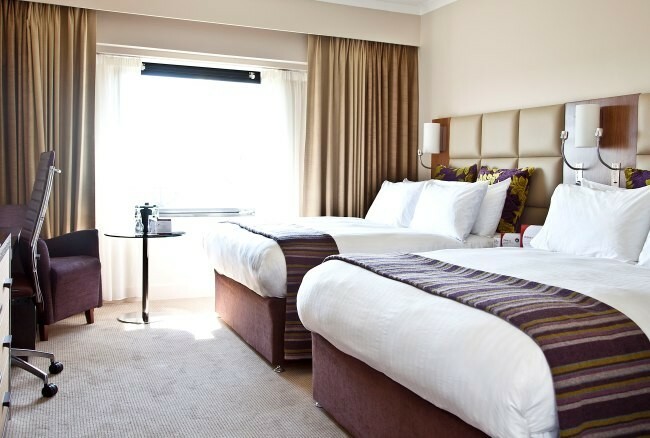 The resort offers 194 recently refurbished bedrooms, choose from high quality standard guest rooms, exclusive Club Rooms and 4 contemporary Suites. 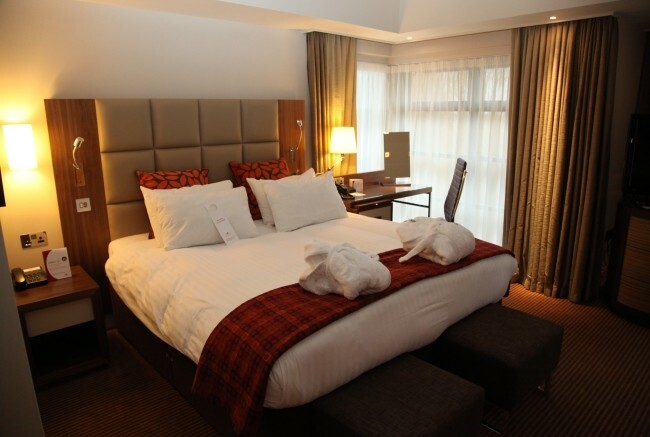 All rooms come with Crowne Plaza Sleep Advantage features such as comfortable beds with luxury duvets and extra pillows. 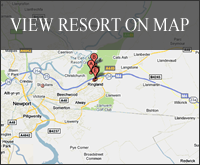 The hotel has a number of sports and leisure facilities that are free to guests at the resort. Whether you want to take a class in the Aerobics Studio or enjoy a game of tennis with the family, there is something for everyone to enjoy. 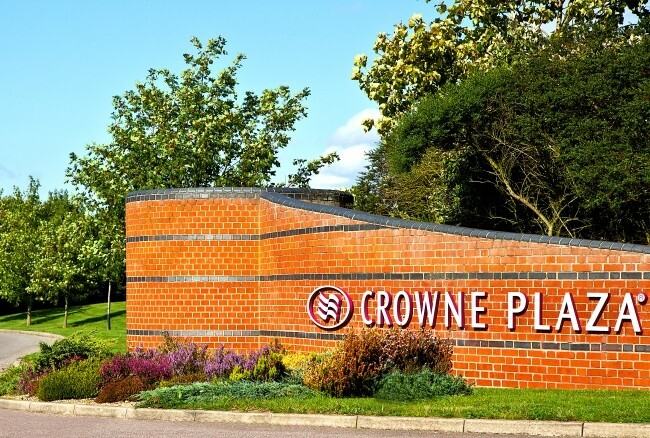 Crowne Plaza Resort Colchester- Five Lakes is home of two great 18-hole golf courses and has great facilities such as a practice area, driving range, a golfers only bar, the option of tuition and a fully stocked golf shop. The course designer, Neil Coles MBE, aimed to enhance the rolling landscape of the surrounding Essex countryside by creating a course with interesting features and landscaping. The tees and greens are built to USGA green specification and vary in design, height and undulation. Water is the predominant feature of this course coming into play on nine of the 18 holes with the fairways benefiting from an irrigation system. 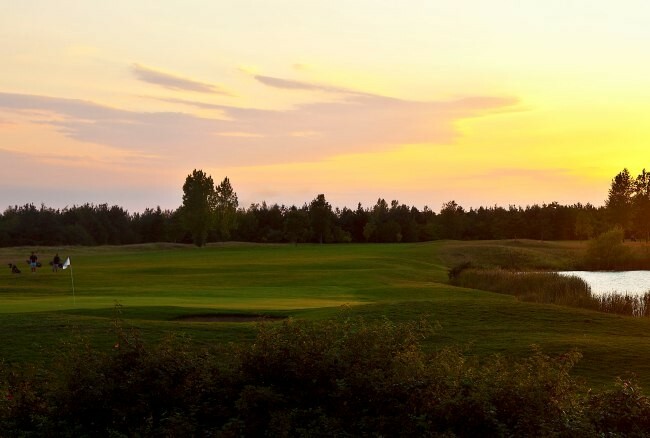 The generous fairways, large greens and water hazards provide a great test. Completed in 1975, the Links Course has matured over the years, creating its’ own challenges with plush greens that bring the importance of the short game into play. The Links Course presents a very different challenge to the Lakes, testing precision to the limit with narrow fairways and strategically placed water hazards, sand bunkers and well-guarded greens. Accuracy is the key to success on this course.